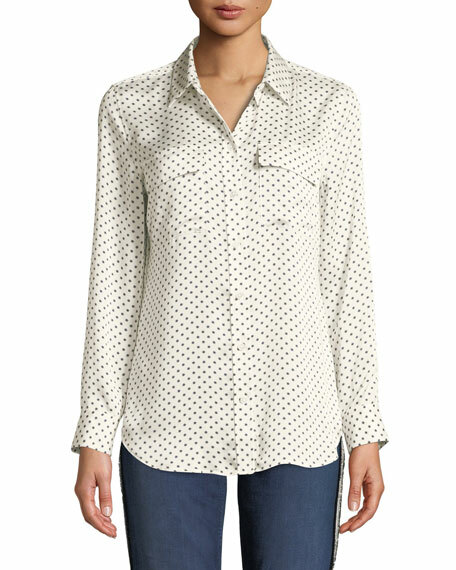 Joseph "Crosby" blouse in dot heart print. Spread collar; gathered tie-front keyhole. For in-store inquiries, use sku #2422605. 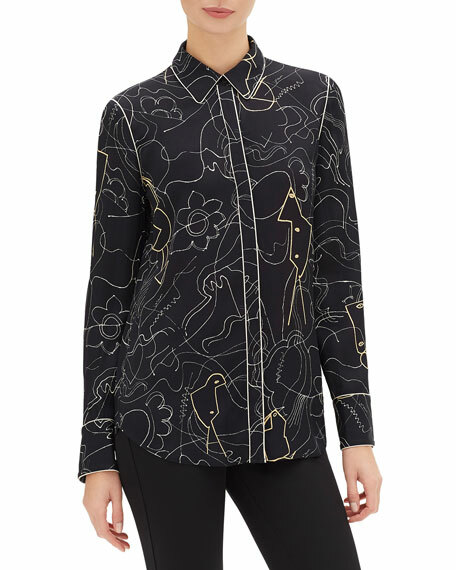 Equipment slim signature shirt with allover solar-flare print. Approx. 30"L down center back. Spread collar; button front. Long sleeves; button cuffs. Double chest flap pockets. Yoked back shoulders; box pleat. Slim silhouette. Shirttail hem. Polyester; dry clean. Imported. 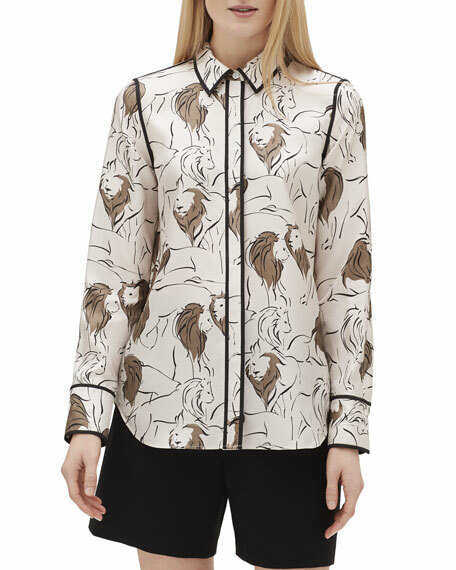 Lafayette 148 New York "Scottie" blouse in Italia leopard print with contrast piping. Spread collar; concealed button front. Long sleeves; button cuffs. Yoke seamed back; box pleat. Semi-fitted silhouette. Shirttail hem. Silk. Polyester lining. Dry clean. Imported. Paige "Louisa" floral-print silk cami with crochet trim. 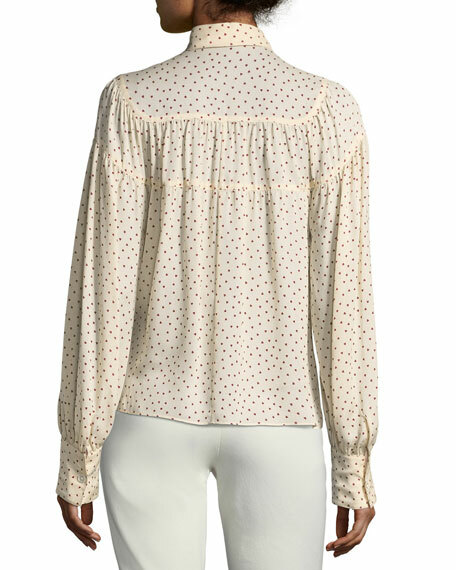 V neckline and back; button-front detail. Tie shoulder straps. Drawstring waist. Slim fit. Slipover style. Made in USA of imported materials.